Emmanuel Légeron is Executive Vice-President, Health & Corporate Global Business Line, and a member of the Europ Assistance Group’s Executive Committee. He began his professional career in 1996 as Regional Sales Manager with Europ Assistance France, then moved to Internal Auditor of the Europ Assistance USA subsidiary in Los Angeles, and was appointed president and CEO of Europ Assistance USA in Washington D.C. He served as Deputy Director of Development and Member of the Group Strategic Committee and Operational Committee at the Europ Assistance Group’s head office in Paris, Director of Operations of the Europ Assistance Group, and COO of the International Health Solutions (IHS) division of the Europ Assistance Group in Haywards Heath (UK). 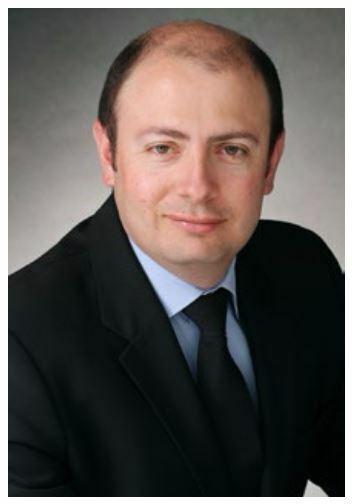 Since 2007 Légeron has been CEO of Europ Assistance Group’s Global Corporate Solutions (GCS) division in Paris. In this capacity, he is a Member of the Group Strategic Committee, Investment Committee, and Operational Committee. He holds a Master’s degree in Management from the Nice Business School in France.